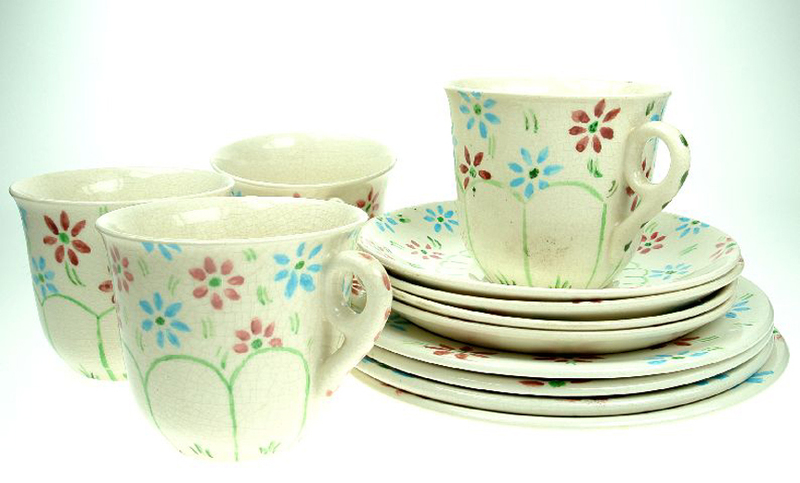 Saucer from a tea set of four cups, saucers and plates handpainted by Eva Arundel of Castleford in 1950-1. Evening classes for amateurs to paint pottery were begun in Castleford about 1920 and went on until the 1950s. The pottery was made at Clokie and Co. Ltd. and after painting it was returned to the pottery for its gloss firing.